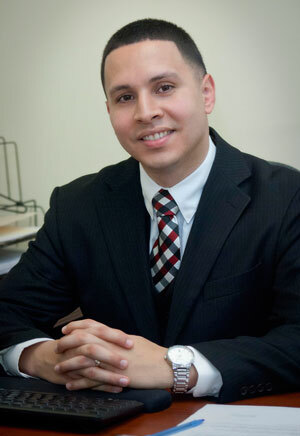 My name is Darryl Irizarry, Jr., and I am the new Alumni Relations coordinator for Community College of Philadelphia. I am very excited to be a part of the College, and I look forward to taking the Alumni Association to new heights. I am proud to announce that we have relaunched the Alumni Association this year and reorganized the Alumni Council and its objectives. We have also repackaged our benefits for lifetime members, including access to College resources, such as the Library and Computer Labs; discounts on insurance products and theme parks; career coaching; special event invitations; and so much more. I believe that we are all connected in some way, shape or form, and the ability to hone in on these relationships can be advantageous to our personal and professional growth. More than 685,000 students have passed through the doors of this College since 1965. This makes you part of a growing network of professionals from all walks of life. To enhance your experience with the College, we will provide networking opportunities to help you build those personal and professional connections, workshops and lectures to help sharpen your skills in the workplace, and newsletters that will keep you up-to-date with news and events at Community College of Philadelphia. If you are currently not a lifetime member and would like more information, please visit www.ccp.edu/alumni or contact our Alumni office at 215-751-8015. Please let me know if you are visiting the campus, need more information, or have comments and suggestions. I look forward to helping make your experience at the College very enjoyable! Reginald Irby is the epitome of hard work and dedication. A graduate of Community College of Philadelphia’s Class of 1997, he has not only proudly served the city of Philadelphia as a firefighter, but is currently serving his country in the Department of Homeland Security. Reggie, as he is often called, began his career as a firefighter after visiting a neighborhood butcher shop in the 1970s. The shop owner, who also served as a firefighter, suggested that Reggie take the firefighter exam and help make a difference in the lives of many. After this conversation and advice from his parents to “get a good city job with a pension,” he decided to take the firefighter’s exam. Reggie’s grandmother took him to register on the day of the exam, but he was discouraged by the long line of people before him and began to have second thoughts. Reggie’s grandmother then said, “If you don’t want to take the test, then you might as well find somewhere else to call home.” Reggie used those words from his grandmother as motivation to take the exam. Not only did he pass, he was ranked in the top 100 among 20,000 other candidates. 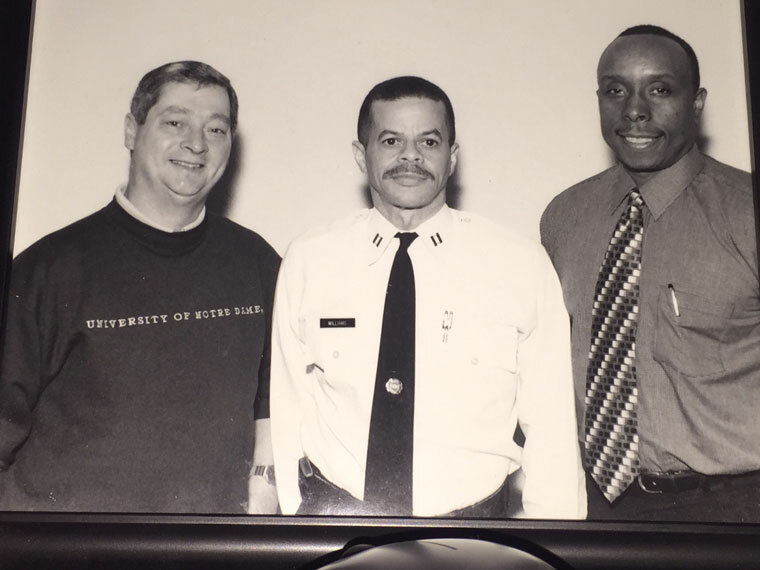 Reggie was soon transferred to the Employee Assistance Program (EAP) division within the Fire Department, where he would help counsel fellow firefighters with drug and alcohol addiction, a move for that was highly recommended by former Fire Commissioner Lloyd Ayers. Reggie completed Community College of Philadelphia’s Alcohol and Drug Abuse certification program and became a certified counselor. 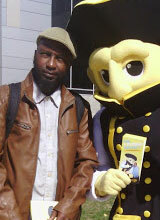 Reggie then turned his focus to completing a degree in General Studies. 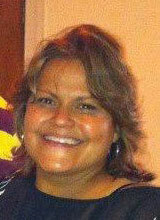 “My education at Community College of Philadelphia challenged me in so many ways. I was amazed at what I was learning. I also remember taking a precalculus course and not doing well in the class, but one thing my professor said was “just show up and be determined to conquer this obstacle.” I eventually received a “C” for the class, but it was more like an “A” in my eyes because of the course’s difficulty,” Reggie said. After Community College of Philadelphia, Reggie transferred to Temple University where he excelled, earning a bachelor’s degree. He then completed two master’s degrees in social services and was inducted in the Presidential Management Fellows program. 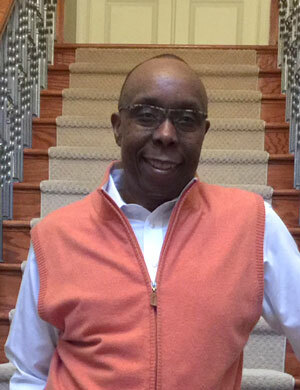 Reggie now serves the country on a much broader scope in Washington, D.C., at the Department of Homeland Security, where he is an Employee Labor Relations lead specialist. He provides oversight on various training that helps individuals in supervisory roles become more effective in the management of their staff. He also works with law enforcement from around the world on employee misconduct cases, and teaches officials how to enhance employee productivity. “My advice for the current students of Community College of Philadelphia is to never discount yourself or you will not be able to experience new things. Community College has the right people in place to help build confidence and who want to see their students excel and challenge themselves,” Reggie says. 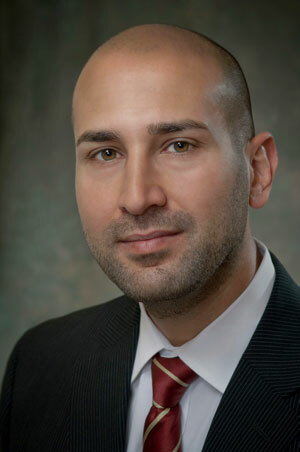 Christopher DiCapua, associate professor of Foreign Languages, joined the College in 2001. He holds a Bachelor of Arts from Rutgers University with a major in Spanish and a minor in Japanese, and a Master of Arts in Spanish from the University of Kansas. Chris served as the department head of the Department of Foreign Languages from 2003–2012 and served as the College’s Study Abroad coordinator from 2006–2011. He is currently the program supervisor of the International Studies curriculum. Chris has accompanied College students to Mexico six times, and has led or co-led groups to Argentina and Peru. He contributed to the writing of the International Studies major and Interdisciplinary Studies 120, the College’s study abroad course. In 2013, Chris won the College’s Lindback Distinguished Teaching Award. Currently, Chris is working closely with the director of the College’s Center for International Understanding to enhance the College’s International Studies program. Callye Huf lives by the mantra “Challenges are what make life interesting; overcoming them is what makes life meaningful.” By the age of 11, both of Callye’s parents had passed away. She learned early on that she would be the only one who could determine her future and chose to make it as bright as possible. Support from family and friends motivated her to pursue higher education and helped her gain the confidence needed to achieve her dream. She is currently studying Culture, Science and Technology at Community College of Philadelphia and plans on graduating with her associate’s degree in 2015, then transfer to Temple University to study Kinesiology. Marisol Morales, ’08, earned an Associate in Arts in Business Management from Community College of Philadelphia before continuing her education to earn a bachelor’s and master’s degree in Business Administration from Temple University. She is currently the director of Human Resources for Aspira of Pennsylvania, Inc., and is responsible for the administration and supervision of the Human Resources department, as well as staff development, policies, evaluations and compliance throughout the organization. The Foundation is halfway through its 2015 fiscal year annual campaign and is at 54 percent of its goal. Each year, gifts from friends, employees and alumni support the Annual Fund, which benefits student scholarships, programs and services at the College, and is a vital source that the College can apply to its most urgent needs. Gifts of every size make a difference! If you are interested in making a donation to the Annual Fund, your contribution will have a critical impact on the College. The I-Pledge Project was started in fall 2013 to encourage philanthropy among Community College of Philadelphia students. Student donors are asked to honor a member of the faculty or staff, or someone in their lives who helped them along their educational journey. The I-Pledge Project funds the Colonial Spirit Scholarship, which is awarded to a fellow student, and this year, a generous, anonymous donor has promised to contribute $5,000 to the scholarship if students raise $5,000 through the I-Pledge Project. This matching gift is inspiring many students to donate and meet the challenge. For more information, please check our online Special Events calendar or call 215-751-8015.